In 2014, Viacom executives were looking to fill the general counsel role responsible for business and legal affairs in its Americas cluster. The region is an important one for Viacom International Media Networks (VIMN). One of the world’s leading multimedia entertainment companies, VIMN is home to such powerhouse brands as Nickelodeon, MTV, Paramount Pictures, and Comedy Central. As such, further expansion into the Americas is a key priority. Last October, the company announced that it would entrust that key position to homegrown talent Larissa Zagustin. Having joined Viacom in 2003 as the company was taking great strides to expand, Zagustin developed unique international insights and transactional expertise. 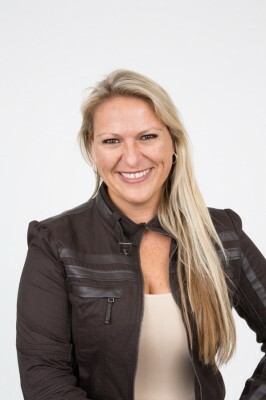 She’ll now use those 11 years of experience to lead overall business and legal affairs in the Americas with her teams in Miami, Buenos Aires, and São Paulo. Zagustin’s distinct background helped prepare her for success on the international stage. She was born to a Russian father and American mother in Caracas, Venezuela but moved to Vienna when her father accepted a position in the embassy. Having such a cosmopolitan upbringing, Zagustin has always had a passion for travel and learning the nuances of different cultures. Eventually, she returned to Venezuela, earned her law degree at la Universidad Central de Venezuela, and started working at a leading law firm in Caracas where she was involved in major cases regarding the privatization of steel and other key industries. Zagustin, who grew up bilingually, speaking English at home and Spanish outside of the house, moved to the United States in 1999 and she spent just two years earning her second law degree. Upon graduation, she started a master’s program in taxation and, at the same time, began an internship with Viacom. A few months later, Viacom offered Zagustin a full-time job, and she put the master’s degree on hold to accept. “I had a tremendous opportunity with a great company, and I couldn’t pass it up,” she remarks. Zagustin joined the company during a time of intense growth as pay TV began expanding into foreign markets. Five years later, she would become a vice president and then a solicitor to the United Kingdom. In 2007, Zagustin helped Viacom complete an important joint venture in the fast-developing market of India amid heavy regulations. The partnership with the Indian company, Network 18, was the next important step in Viacom’s growth in Asia and created a structure for future Viacom content, brands, and original properties tailored to the local culture. Zagustin helped keep Viacom in compliance with laws and regulations, and she also addressed operational agreements. The key, she says, is ensuring that from a business, legal, and regulatory perspective, the organization is managed with consistency, regardless of location. In some markets, VIMN looks to accomplish its business expansion and goals by creating partnerships that target growth, including joining content and brands that can cover a large spectrum of demographics. “We look for strong and complementary media brands to achieve further reach together,” says Zagustin. As executives analyze markets on an international platform, they look to determine if they should forge ahead alone or work with local players establishing joint opportunities and identifying synergies.